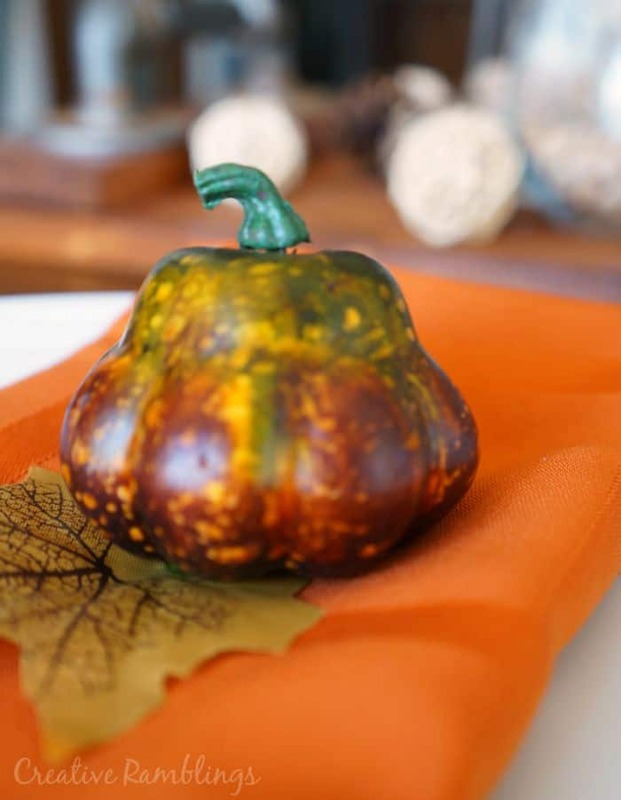 Today I am giving you a peek into my home, all decked out for fall. 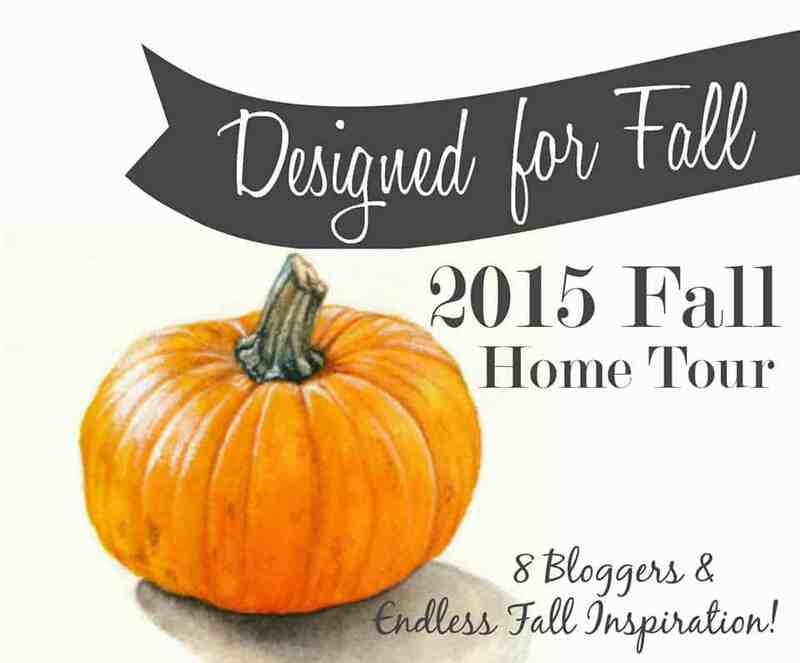 I am fortunate enough to have a great group of very creative bloggers joining me in this fall home tour, you do not want to miss their gorgeous seasonal tours. 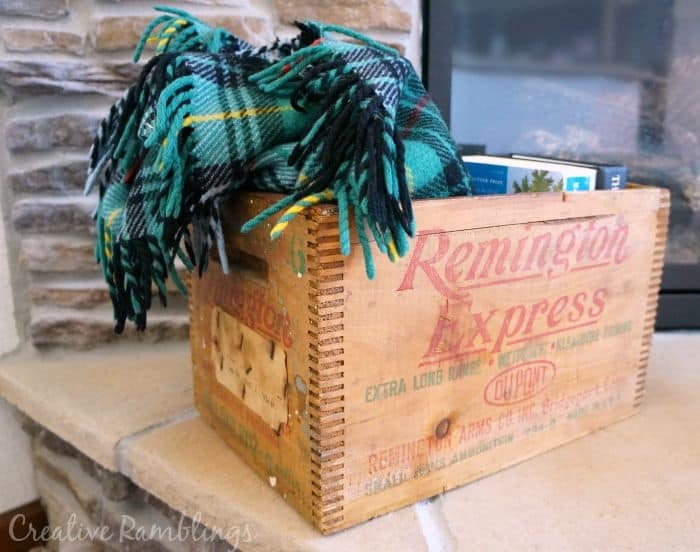 Not only are we showing off some fabulous fall home decor, we are giving some away! 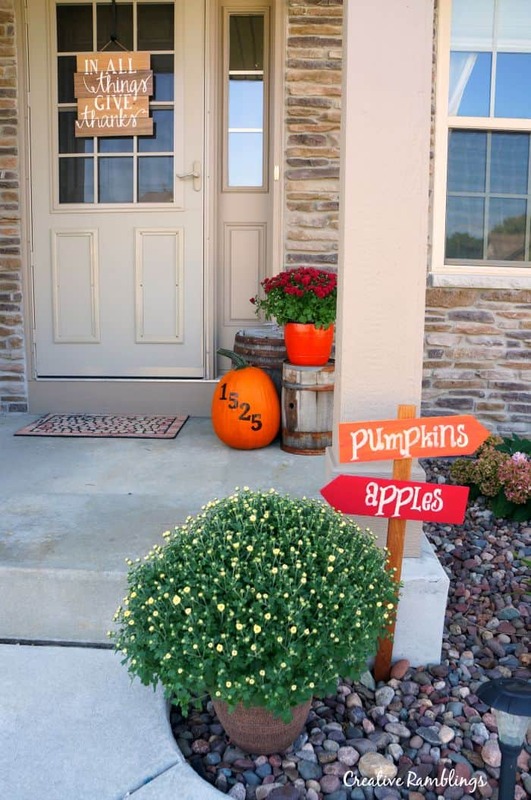 Be sure to scroll all the way through to enter our giveaway and see all the fall homes. When September rolls around my mind turns to fall, even if it still feels like summer. 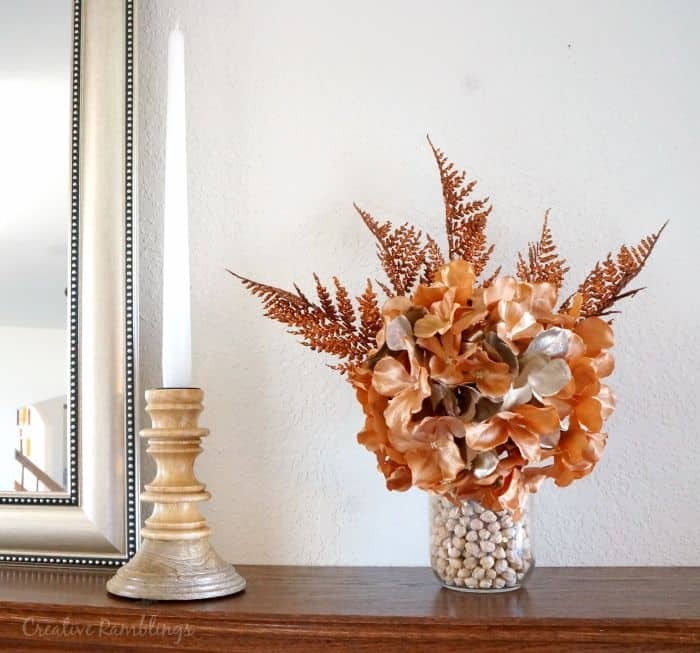 I love decorating for fall using pieces that I can leave up through Thanksgiving. I am all about keeping the holidays simple. If you strive for a simple holiday season be sure to check out my book 7 Ways to Simplify Your Holidays. My front porch has mums, old barrels, and a pumpkin this year. I added a few corn stalks around my light post for a little rustic touch. Big pots of mums make such a statement as they bloom. You can see my full porch tour here. In my foyer, I created a little vignette using some upcycled baby food jars I created last year. These little guys have a touch of sparkle on chalk paint, I love mixing neutral colors with metallics. In fact, I carried that theme throughout my home this year. In my living room, I changed up a few pillows and brought back my neutral tones. I am thinking of adding a fall leaf pillow to the mix this month, we’ll see what I can come up with. I also brought out a basket of pumpkins and pinecones to display next to my succulent terrarium. My mantle is so simple this year. 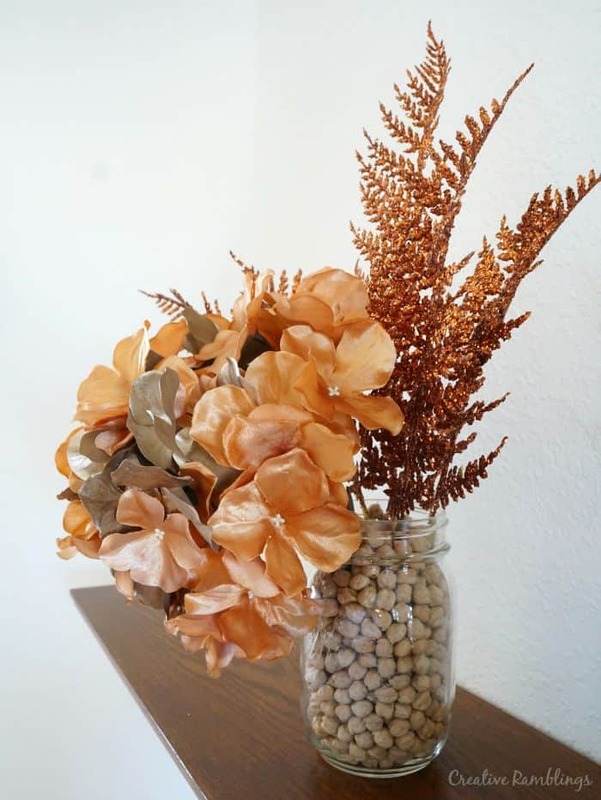 I combined some sparkle, natural dried garbanzo beans, and dried hydrangeas in mason jars. I found these beautiful wood candle holders on clearance at Target that go perfectly with the jars. 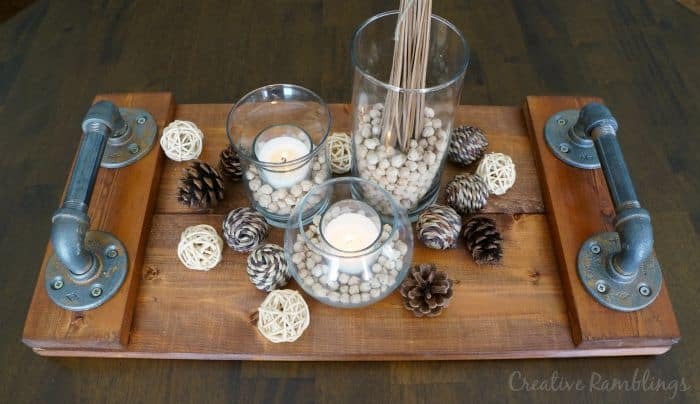 Finally, I created a rustic fall centerpiece using my industrial wood plank tray. I used varying heights of glass vases filled with dried beans and candles to create a natural warm glow. These simple decorations warm my house for the season and make me so happy. I combine this with a fall scented candle and a fire and I am set! Looking for more fall inspiration? Take a look at these amazing home tours below. 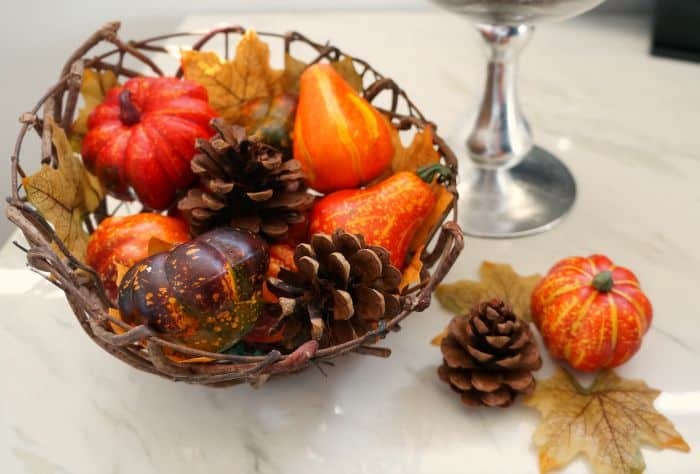 Now it’s time to decorate your home for fall. We are giving away this beautiful handmade sign from Charlie and Ella. 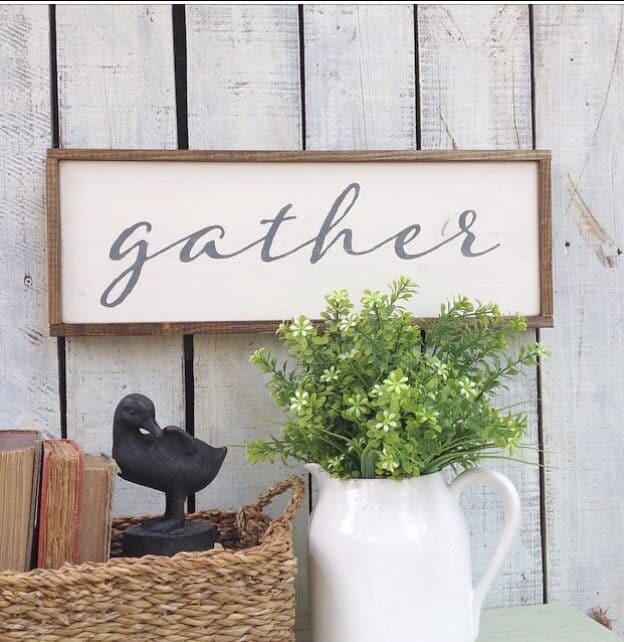 This is a piece that can be used year-round in your home. 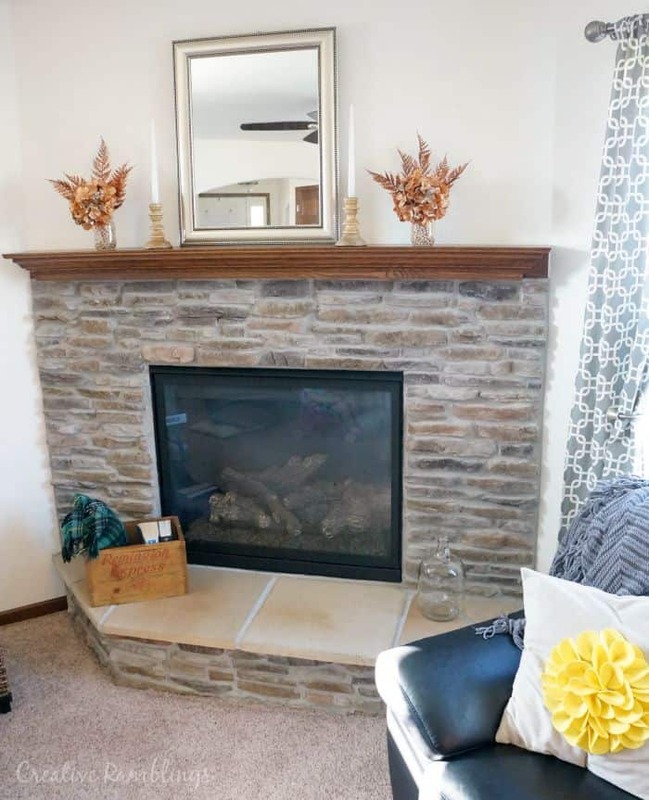 I want to hear how you decorate your home for fall. Tell me, what is your favorite decoration that you have to display every year? So pretty Sarah, where did you get your old crate on the fireplace? Thanks Amanda. My father-in-law dropped it off one day, he is always good for nice old stuff. I actually think it was his and full of ammo at one point! Everything looks great Sarah! Your porch is really beautiful! Your home is lovely! The Remimgton Express crate is an awsome piece -our chocolae Lab girl is named Remington.. Thanks Elizabeth, yes I love that crate! Your house looks great! 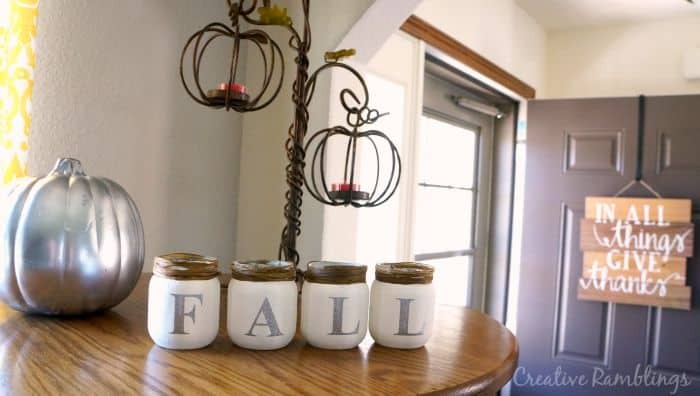 I love your door sign and your “fall” jars! Adorable! Thank you so much, those jars are some of my favorite decorations.